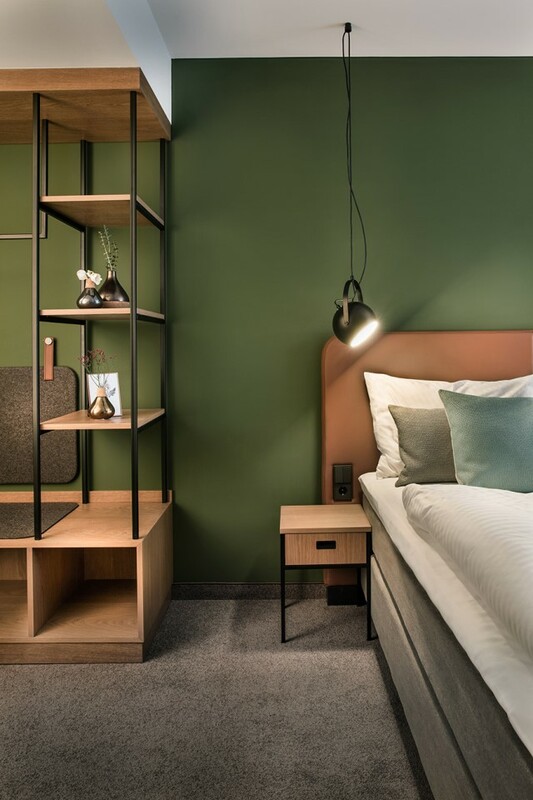 Stuttgart based architecture and design firm DIA – Dittel Architekten redesigned and redeveloped the “Hotel Domizil in Tübingen”, with a floor area of over 4000 square metres. The focus is on an authentic and modern design concept, as well as restructuring the entrance and restaurant area. Take a look at the complete story after the jump. 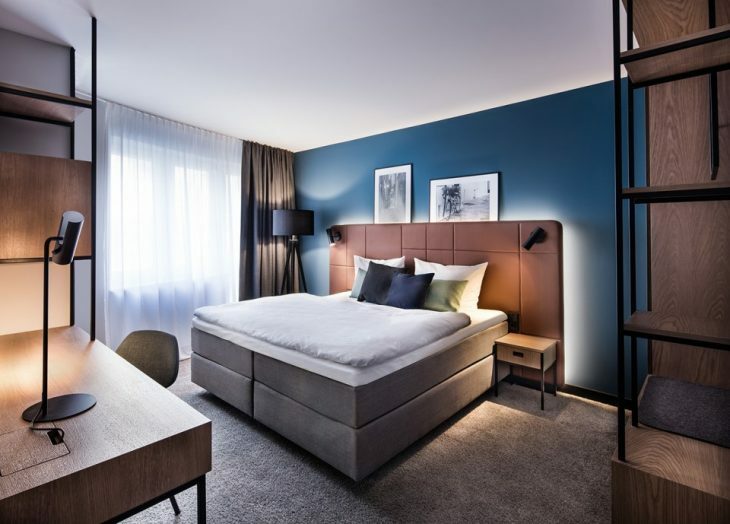 From the architects: The Hotel Domizil in Tübingen, with a floor area of over 4000 m2, is being comprehensively redesigned and redeveloped by DIA – Dittel Architekten. The focus is on an authentic and modern design concept, as well as restructuring the entrance and restaurant area. 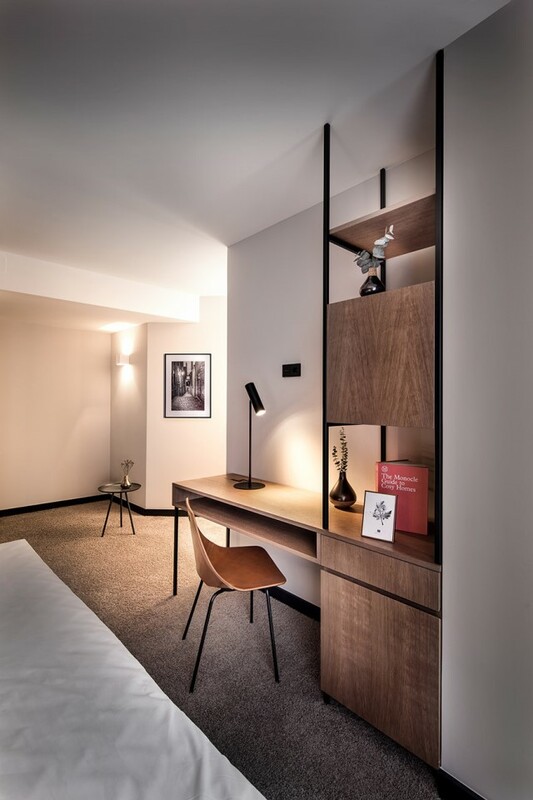 While the hotel is in normal operation, its transformation is taking place over several construction stages, and so far, the first rooms were completed. All other stages are being planned. The design is derived from the name of the hotel and the character of the city. The “Domizil” (= home) exudes a good feeling, resulting in a bright mood and rousing confidence. The peaceful effect of the Neckar River and its colours are incorporated into a harmonious concept. 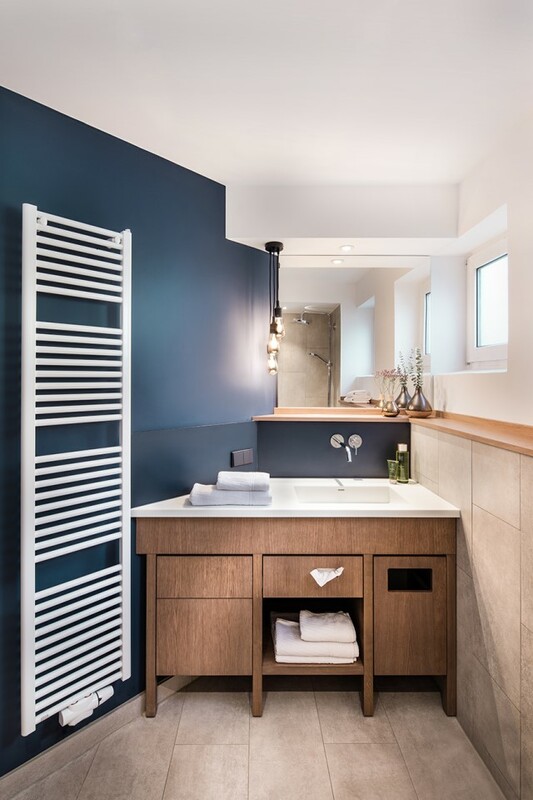 Natural colour contrasts, relating to the famous houses of Tübingen Old Town are created in combination with wood and leather tones, as well as black metal. 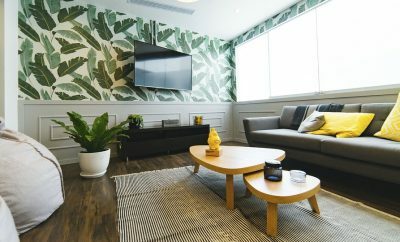 In the hotel room, you will clearly notice that comfort and modernism work together as a whole, and express themselves in detail. Soft textiles and round shapes are featured to accentuate clean lines and hospitable functionality. 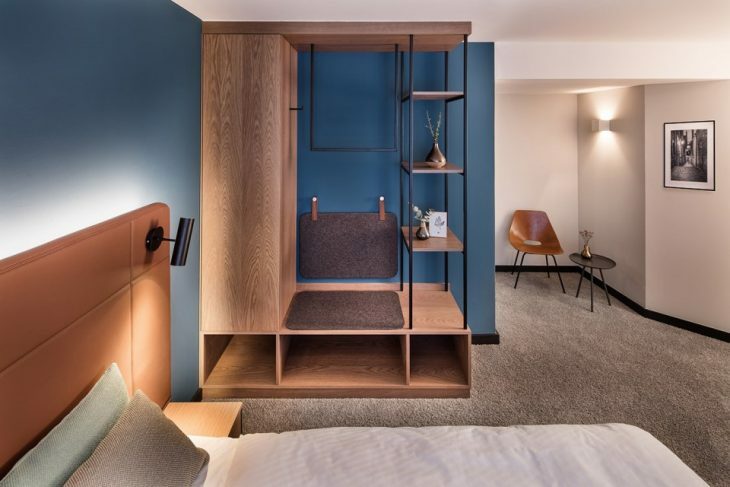 This functionality is demonstrated by the multifunctional wardrobe, that can also be used as a seating alcove and luggage rack. It has a filigree, geometric style. 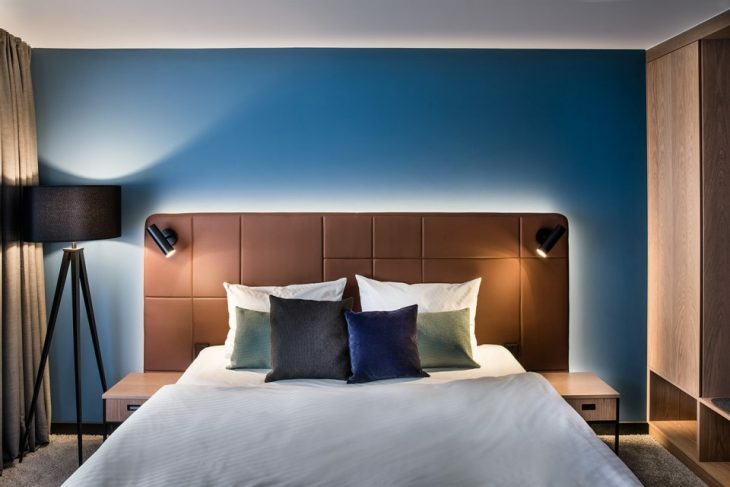 The indirect lighting creates a feeling of comfort and can be adjusted to the needs of our guests. 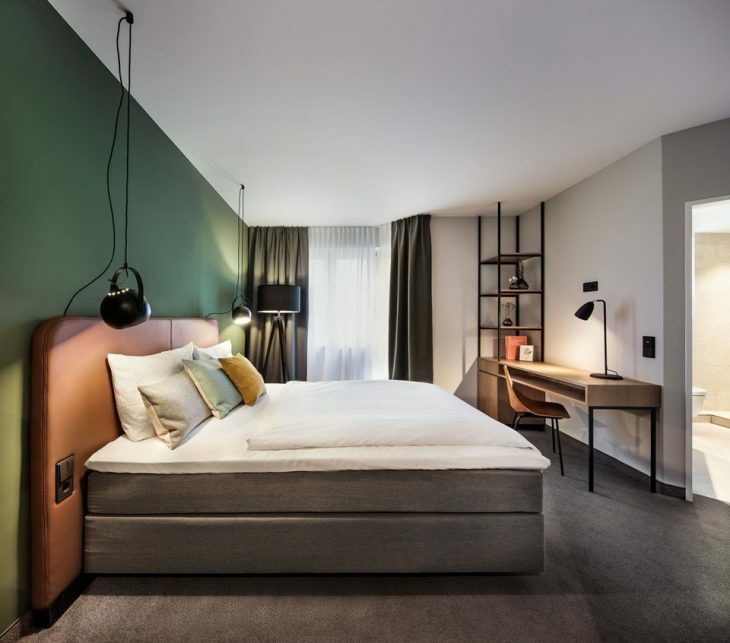 Elaborate details, such as the bedside lamp in a pendular shape, leather straps in the seating alcove or decorative seams on the back of the bed, round off the design.